Bluesfest locals: An interview with Riishi Von Rex - Spotlight Ottawa	:: Spotlight Ottawa - Your local music scene. Get out and experience it! I recently spoke with Riishi of Riishi Von Rex about their upcoming appearance at Ottawa Bluesfest. You can catch them on Saturday July 8th at 3:30PM on the Black Sheep Stage. Apparently Riishi was a little more excited to get the news on their upcoming gig. “I woke Michel up and he was slightly annoyed with me. He was like, ‘Well that’s great but I was sleeping.’ Very reserved in his response to these things,” she said with a laugh. 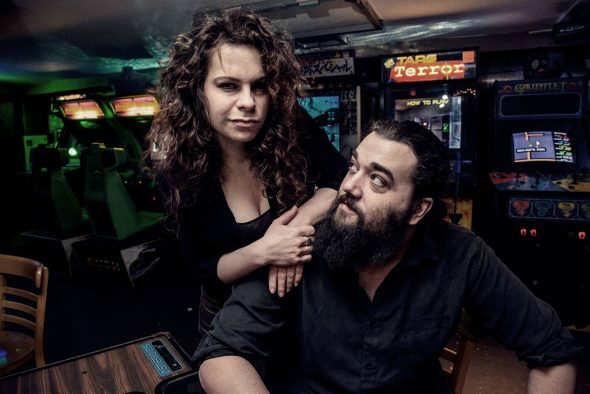 Later on this summer, Riishi Von Rex will play the House of Targ along with some other local dates, and they may look to do some out of town shows as well. Visit vonrex.org to see their upcoming dates.